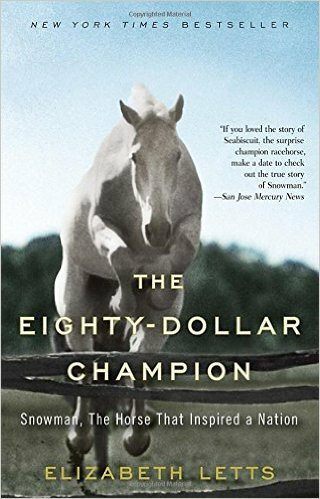 If you have ever fallen in love with a horse, the bond between Harry de Leyer and Snowman will stir your passion. If you have never experienced it, the book will make you yearn for that relationship. 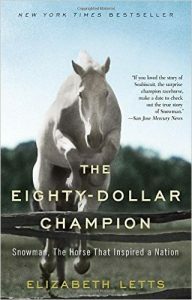 This is a remarkable true account of the lives of Snowman, a plough-horse plucked from the slaughter pen and Harry de Leyer, his owner/trainer. Yes, I am a sucker for well-told animal stories because they shine a light on the intelligence of animals and on the spiritual strength we draw from their unconditional devotion for us. Elizabeth Letts writes like a woman blessed by the presence of a horse in her life. It was only after the second reading of this book I came to appreciate how skillfully it is crafted. Not for the faint of heart; Cheryl does not mince words or spare colorful language. She does weave her life story, so raw and spontaneous, into each step of the 1000 mile Pacific Coast Trail-which she hiked alone. (from the Mojave Desert through California and Oregon to Washington State). 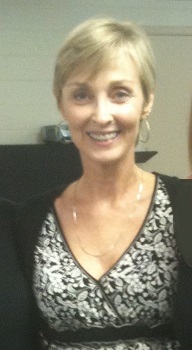 If like me, your life has taken abrupt detour after detour, demanding that you reach deeper than you think you are able. Read on. Typically I do not read war stories but was told I should read this by an Oklahoma author at a writing conference. She was spot on. I called my Dad, a WWII veteran who served in Japan, every few chapters to discuss sections of the book, I was so engrossed in it. I cried and cheered and cried some more. Also not for the faint of heart, Unbroken tells the story of Louis Zamperini, a young Olympian from California who found himself a prisoner in Ofuna, one of the most notorious Japanese prison camps. 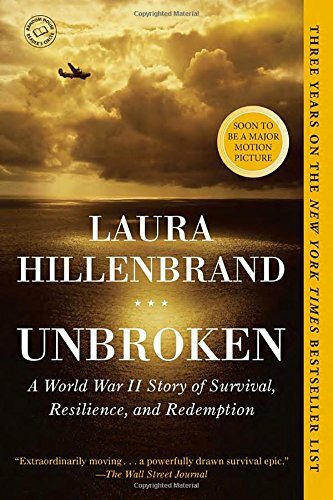 His story of survival and recovery will inspire you and rekindle gratefulness for the extraordinary sacrifices our soldiers of war make. 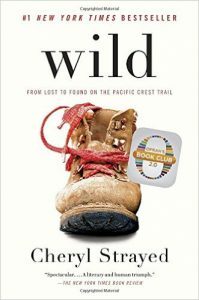 When I survey the overabundance of books in my little hacienda, it’s clear that I am consistently drawn to non-fiction, eighty percent of which are spiritual subject matter. 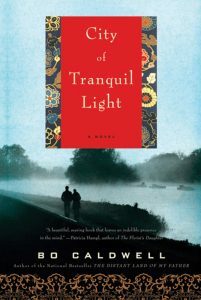 One of my favorite writers, Barbara Brown Taylor, a retired Episcopalian priest, wraps words around matters of authenticity, faith, and humanness better than anyone. She eloquently tells her own story of pastoring a church and leaving it. 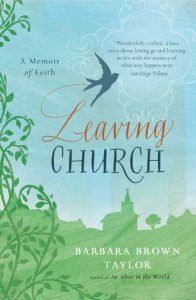 Having left the church myself for a time, I do understand the struggle and respect the story of her journey, lovingly and humorously told. My paperback version is the most written in, dog-eared, and highlighted book I own. I told her so one day. 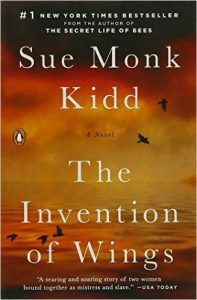 Any of Sue Monk Kidd’s books could have made this list, as she is on the top of my list as a writer. Intelligent, spiritually mature, and gifted with exquisite expression, Kidd lures you in with inventive language, masterful storytelling, and inspired imagination. Sue has such passion for human rights. This story weaves together the story of a white woman born into privilege, and a black woman and struggling slave living in early nineteenth century Charleston, South Carolina, and the impact their lives had on the other. This novel of historical fiction confirmed once more why God made certain I was not born at an earlier time in history. Life is and was always difficult for women who’s spirits dwell in the fringes of life. I dare you to read this and tell me you are not moved. I have read this book many times and relish it each time. This non-fiction collection of stories from Amy Tans’s life will make you laugh, think, and wonder at your own familial relationships. Like her bestseller the “Joy Luck Club’, this book was inspired by her Chinese-American heritage and her relationship with her mother. I’ve always said that my mom was as my “most unforgettable character”. 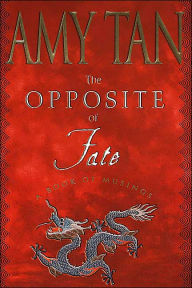 Amy Tan’s was Daisy Li. 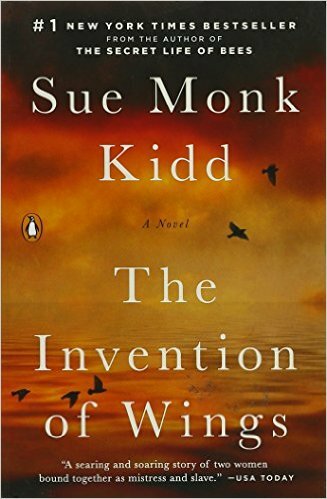 Great…now there are SIX MORE books I need to read : ) I’ve read The Invention of Wings and want to read all of her books. Kelly, the Mermaid Chair you would like.